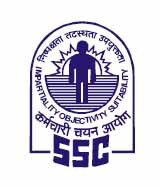 Staff Selection Commission (SSC) has published Notice for Stenographer Grade 'C' & 'D' Examination 2018, Check below for more details. STENOGRAPHERS GRADE C AND D EXAMINATION 2018 RE-EXAMINATION ON 08/02/2019 WILL ONLY BE CONDUCTED FOR THE CANDIDATES WHO HAD APPEARED IN SHIFT - I ON 05/02/2019. THE RE-EXAM CANDIDATES MUST CARRY THE SAME ADMIT CARD WHICH WAS ISSUED FOR THE EXAM ON 05.02.2019.